An intensive four-day workshop led by our Print Fellow — an expert printer who manages our shop, heads the Editions Program, and works with our artists-in-residence. 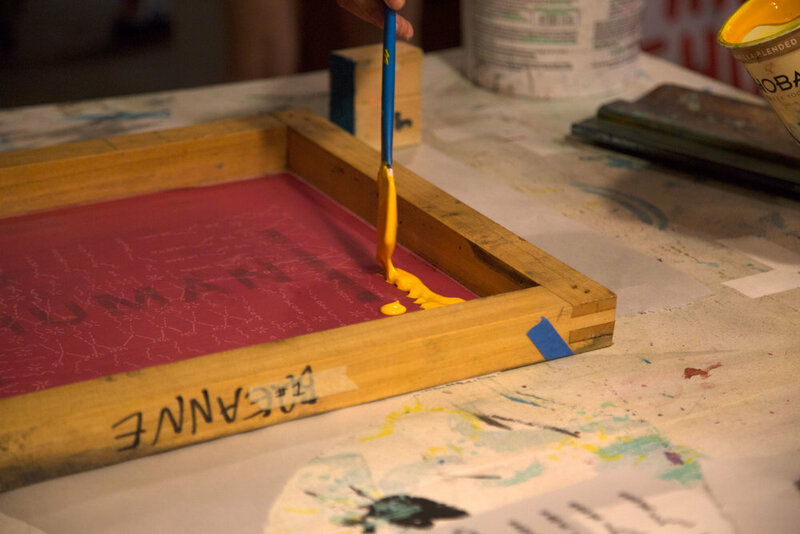 Students explore all things screenprinting, and at the end of the week, head home with an original paper screenprint, a t-shirt, and editions of their fellow campers’ prints. Under the guidance of our Education Fellows, campers will spend a week experimenting with multimedia practices such as sculpture, light, assemblage, painting, and beyond to create their own immersive installation environment. The theme of this environment will be created entirely by the participants and enjoyed by all the families with a culminating art show at the end of the week. Individual and group projects will also be explored. We like to meet students where they’re at. Our Wassaic x Webutuck collaboration places our Education Fellows right into art classes at Webutuck Public High School. There, they show their own work, talk about careers in the arts, and get students working on long-term collaborative projects including stop-motion animation, motivational (or, rather, subversive) poster design, and performance art. But we’ll bring students to us, too: through our partnership with the North East Community Center’s Junior High Clubs initiative, students from Eugene Brooks Intermediary School have worked with art collective Whoop Dee Doo on our Haunted Mill and with our education fellow on mask-making for our Community Day parade. And with their Teen Team, we’ve put on a smattering of programs: from Teenacious Minds: Community Artworks — a student art show at the Maxon Mills — to a float-designing workshop in collaboration with the Northeast-Millerton Library. We’re always looking for new partnerships, new programs: reach out to tara@wassaicproject.org with any ideas. Plenty of our events are open to teens: our monthly Open Studios, visiting artist lectures, summer festivals, and a whole lot more. We love working with school groups — reach out to tara@wassaicproject.org and we’ll put together a customized visit featuring hands-on projects and tours of the Maxon Mills, the Luther Barn, and our artist-in-residency studios. 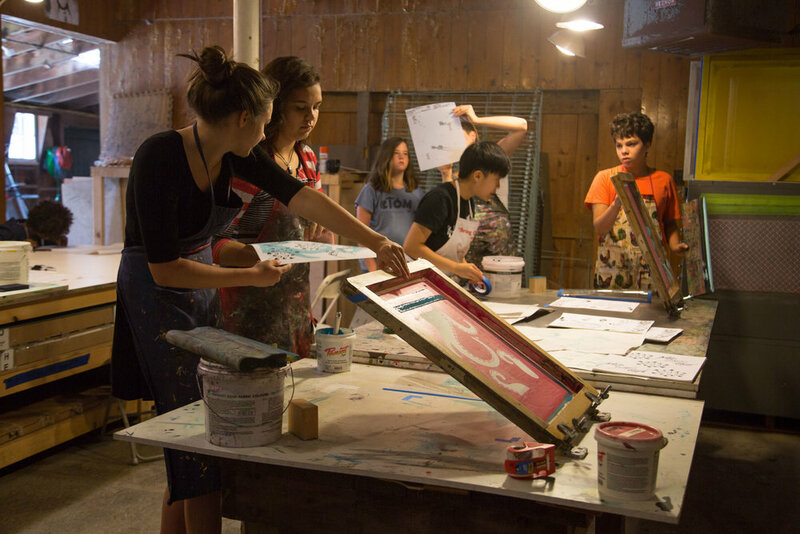 Art Scouts and Wassaic x Webutuck are made possible with funds from the Decentralization Program: a regrant program of the New York State Council on the Arts administered by Arts Mid-Hudson with the support of Governor Andrew Cuomo and the New York State Legislature. Worm Creatures was funded by Berkshire Taconic Foundation’s The Webutuck Quest for Excellence Fund. We want to work with all kids in the area — if any of our programs present a significant financial hardship, reach out to tara@wassaicproject.org and we’ll work to provide you the funding you need.